A lost generation of property buyers? The latest report from credit ratings company Veda for the past 3 months tracking credit demand shows what they describe as Gen Y "Property Orphans" - people aged under 28 who's collective demand for mortgages has dropped by a third in the past year whilst at the same time their demand for personal loans and credit cards had increased. When asked by media reporters about this report I stated that this was likely caused by a combination of factors, one of which was the generational change that is seeing young people question the achievability of home ownership as they in some cases choose renting as a lifestyle choice with the inherent flexibility and lower commitment to a particular lifestyle and attendant financial responsibility. Certainly the LVR restrictions have dampened demand as it has become harder to secure a property purchase with the more common requirement for a 20% deposit, equally recent interest rate rises have increased the costs of home ownership whereas the costs of renting have not risen by as much. There is no doubt that buyers can secure mortgages with a deposit of less than 20% but the signals and commentary in the market constantly talk of the hurdle of 20% deposit and with prices in the main cities topping $500,000 on average that is a massive ask to raise $100,000 when most prospective asspiring homeowners under 28 years are probably still encumbered with student debt. One of the difficulties in assessing the real drivers behind decisions in the property market is the lack of granular data. We do not have accurate and credible data on first home buyers. Yet we so often see articles which seem to speak to assumptions that sales of low price property or LVR impact is a result of fewer first time buyers. We may not have such data, however other countries do and it is timely that I found this chart from the UK which tracks the number of mortgage loans made to first time buyers since 1979. This is quite a striking demonstration that first time buyers started to be priced out of the property market as early as 2003 and 2004 as property prices in the UK took off, that demand plummeted again during the GFC - exactly mirrored in NZ. The recent resurgence in the UK is what might be regarded somewhat as artificial as government initiatives such as "Help to Buy" has been encouraging this group of first time buyers to get onto the property ladder with low deposit government back schemes coupled with record low mortgages interest rates. The contrast with NZ could not be more striking with LVR restrictions and interest rises of the past 12 months severely constraining first time buyers. The only NZ data of a similar nature that might allude to this lost generation of property buyers is this recently published chart from Core Logic which shows an extensive historical data of property sales and the representation of these sales as a proportion of all stock of housing. The key takeaway from the chart is the shift in transaction levels over the past 30 years. Whereas 30 years ago, even 10 years ago monthly transactions represented around 0.8% of all households in the country, but that level has fallen to around 0.5% for what is closing in on the past 10 years. It is not appropriate to draw a single conclusion from this data, that it is a function of the decline in first time buyers but it would be possible to intuit some potential impact from this trend as a reason behind the lower relative transactions as with less first time buyers creating demand to get on the property ladder leads to lower overall transactions levels. Again we lack the granular data to be able to assess such issues with certainty, compounding this is the fact that such data only really becomes valuable when there is an extensive historical archive upon which to analyse, however if we never start recording such data no such archive will ever exist. The belief amongst the real estate community is that the traditional spring surge in activity has only momentarily been delayed this year on account of the election. The hope is that now we have the election behind us the market will kick into gear. In my opinion there is no statistical evidence to support the view that the election has caused any dampening of the property market, not this election at any rate, there was certainly evidence in past elections. However, irrespective of the election's impact, the reality is that the market will see a flurry of activity in the next couple of months leading up to Christmas. The fact is Spring is the most active time of year for property listings. Analysing the data for the past 7 years shows that the Spring months of September / October / November sees over 10% more properties come onto the market than would be the case for the proportion of the year made up by a 3 month period. At the same time as listings rise 10% above normal sale only rise by 3% compared to normal. This vital insight which is presented in the chart below highlights some interesting facts about buyer and seller behaviour over the key seasons of the year. From a buyer perspective the best time of the year is Spring as the proportional level of new listings is much higher than the proportional increase in sales as there is generally a better selection of properties on the market and less competitive pressure. For sellers the best season is the Winter when new listings are over 10% lower than normal but sales only decline by around 4%. Equally the Autumn period is relatively good as the rate of sales increase compared to normal is higher than the rate of listings increase. It is the most active time of the year for the industry. The Summer period is challenging for both buyers and sellers, relative sales levels are well below what would be for a normal 3 month period but listings are quite closely aligned with a similar level of drop off. It certainly pays to think before making the decision of when to sell and when to buy. Naturally the decision of when you want to move house is more often influenced by external factors which means you don't have a choice but if you do, then choose wisely. 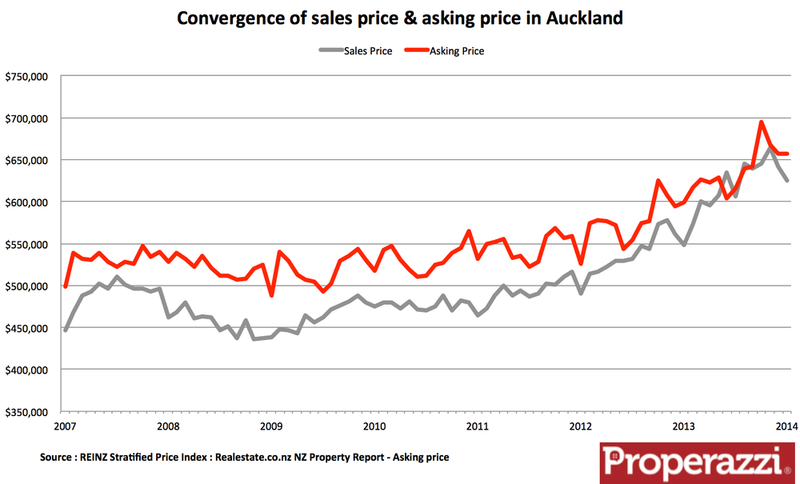 This week we have seen two supposedly insightful pieces of data helping to provide insight to the extent of international buyering of NZ property - one from Labour and the other from National. Irrespective of the validity of the data (I'll come to that in a minute) it clearly shows the fear and/or uncertainty surrounding the extent of international buyers' activity in the NZ property market. Certainly from a political perspective at least. The first set of data released was from Treasury analysis of IRD data into tax returns filed by rental property owners. The data showed that from amongst 200,000 such tax returns around 12% (24,000) were from non-residents. This data is certainly robust as there's somewhere around 400,000 privately held rental properties in NZ - allowing for multiple ownership this would cover most of the tax records. However the question has to be asked - what relevance has this data? Included in this total of 24,000 would certainly be ex-pat kiwis with homes or investment properties here in NZ, and with the overseas ex-pat community somewhere close to a million people by all accounts, this group could account for all of it. Also the data provides no insight into the changes in the make up of this group of the years and thereby any inference of proportion of sales. The only trend analysis (Figure 1) shows that this segment had not actually grown significantly over the past 15 years during which time the NZ resident ownership base grew from 110,000 to 180,000 whilst the non-resident (as well as "unknown" whom the analysts suspect are likely to be non-resident) actually fell from around 28,000 to 24,000. The second set of data released by Labour's Housing Spokesman Phil Twyford presented the statement that based on data from a Chinese real estate website New Zealand is the 5th most popular place Chinese buyers look to purchase residential property behind the US, Australia, Canada and the UK. The website to which the statement refers is SouFun - the biggest property website in the world, whilst not publishing traffic figures to its site, it is a listed company on the NYSE generating EBIDTA of US$360m on revenues of US$640m - this is a significant company operating in a massive real estate market. A market with annual transactions in the multi-millions of properties. However whilst the audience and presence of the website is enormous in domestic Chinese terms, the capacity of it to attract an audience to NZ listings is tiny - no correct that microscopic. In total they host probably somewhere over 4 million properties for sale across China together with a tiny add-on of around 35,000 listings from outside China. Within that 35,000 international listings there are 23 NZ listings - yes 23, check them out. Many real estate websites around the world host international listings. The most significant of which is probably the UK site Rightmove which hosts over 125,000 international listings from more than 65 countries. Rightmove hosts 3,476 NZ listings which would equate to over 8% of all NZ property. The fact is that the SouFun international section of the site is not representative of the true listing stock of any country it showcases. The closest it comes is actually Australia where it hosts over 6,000 listings - yet that represents less than 3% of the more than 230,000 listings of Australian property on the market today. For NZ there are 42,751 properties for sale at this time across the country and SouFun showcases 23 of them - less than one tenth of one percent. It is therefore at best misleading and more likely totally irrelevant to showcase this data as any form of indication of true Chinese interest in acquiring NZ properties. Having said that there is no doubt we still need to find away to collect and analyse the data of property transactions - something I seem to be constantly championing - is anyone listening?